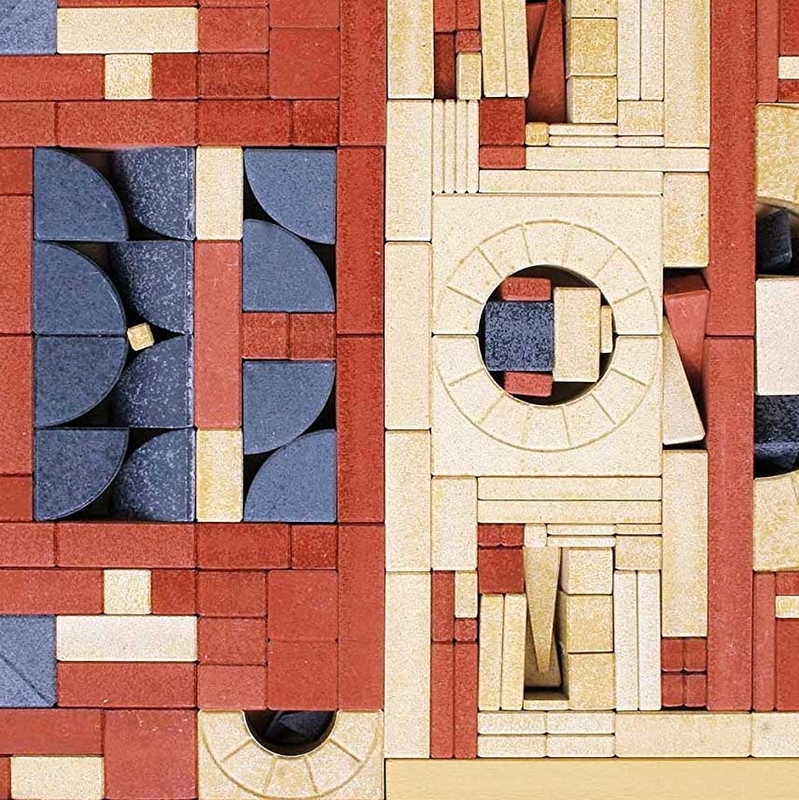 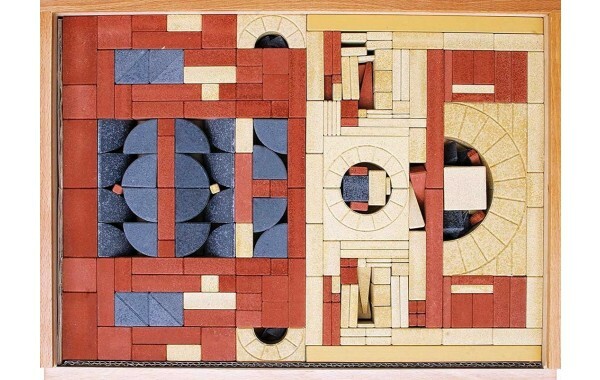 An extension for building set number 22 (22A) includes 271 stone blocks in the three standard colors; brick red, natural sand, and slate blue. 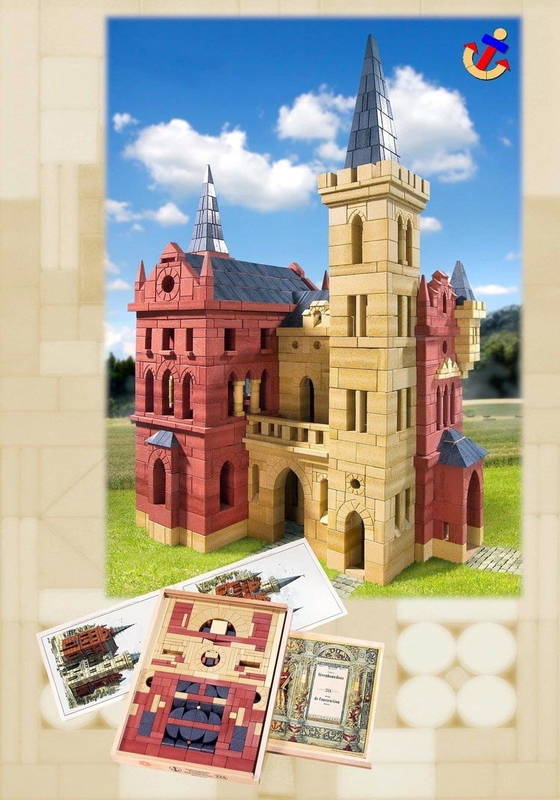 The Designs for Architectural Models booklet includes ten building plans for large and complex buildings including a castle, large villa with garden gate, a museum, and an Italian monastery. 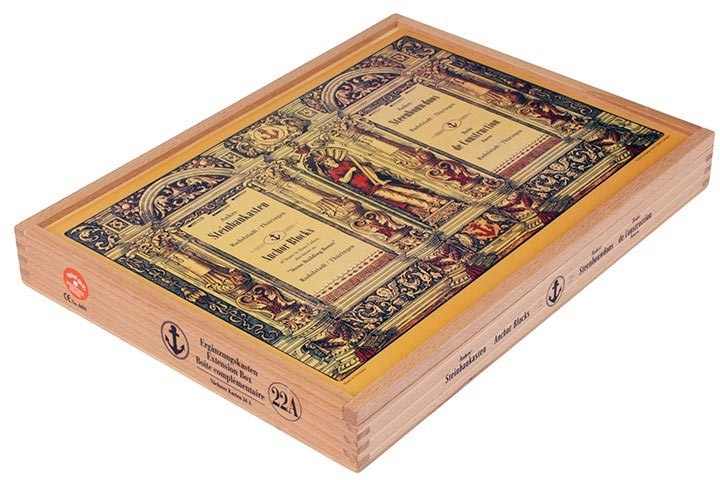 Packaged in a traditional wooden box for storage with a packing diagram and construction templates. 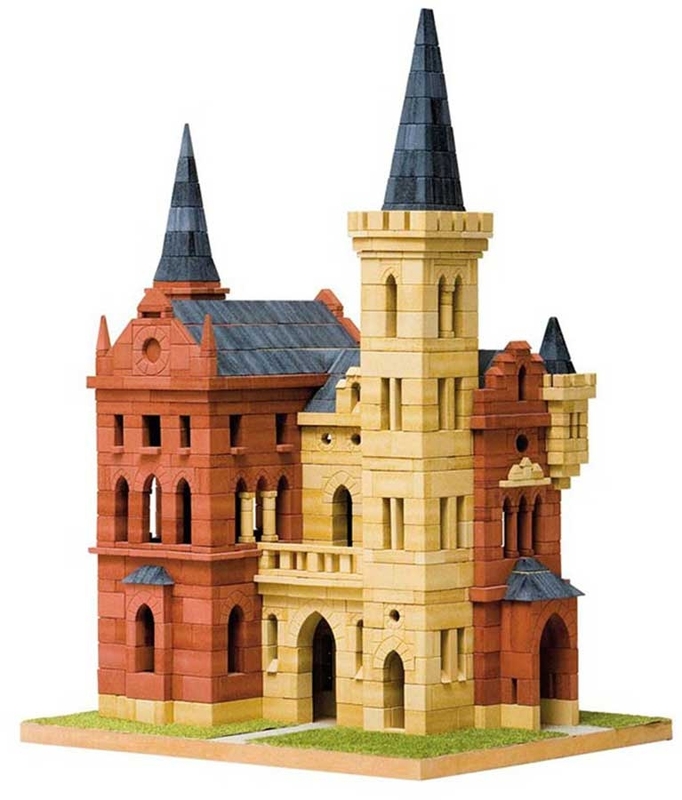 This expansion allows you to build larger and more complex models. 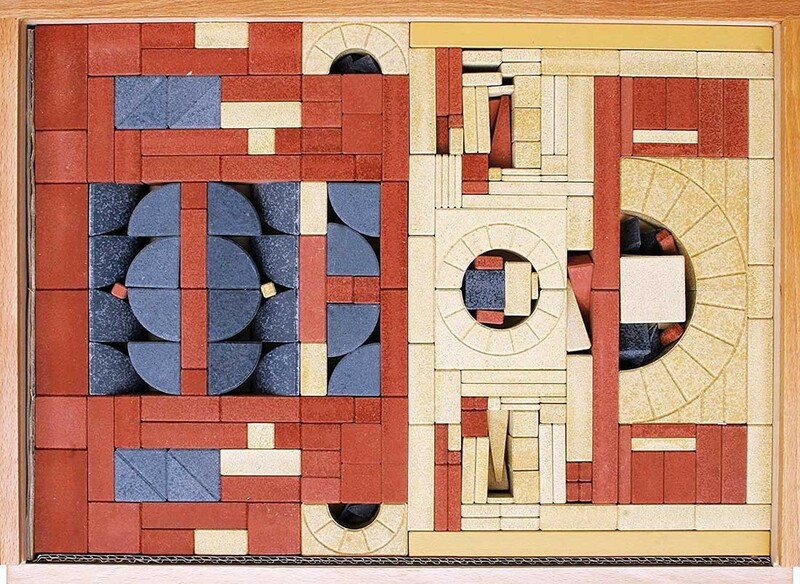 This set plus the combination for set #22 becomes the equivalent of set #24 and allows you to build all of set #24 models.